Take me to the SLIDES! This past weekend I drove up to Waltham, MA to participate as a guest speaker for SharePoint Saturday Boston. Everything about the event was exceptional. I absolutely love going to these events as I always learn something new or get introduced to a new tool, program or just even a helpful tip to make my life and job easier. It was great running into familiar speakers from SharePoint Saturday New York and meeting a handful a new ones. The organizers were extremely nice and well prepared as the whole event went off without a hitch. My feeling was that the entire event was well received by the attendees and everyone enjoyed their time there. So my topic was an Intro to Branding for non-designers. Its a special interested topic for it pro / dev / or anyone with knowledge of html/css and the ability to read through some ASP controls. I want to thank everyone for coming to my session, the attendees there were great and I don’t think anyone feel asleep even though it was right after lunch. The session turned out more interactive which (I hope) made it better. I know I like to use SharePoint Designer in code view. I forgot to mention that everything I was doing can be done through Design Mode, which is a WYSIWYG. Since its SharePoint Designer i like to refer to it more like, What you see is SORTA what you get. So I have not posted in a few months for 2 reason, 1 I just bought a house and 2 I have been swamped at work with tons of new projects. The past couple of months I’ve been implementing branding on WSS & MOSS sites for our various clients. Our company has partnered with an outstanding design team, ‘Nition, who continuously seems to WOW me on their designs. I have also been building my company’s public facing 2010 site which was design by ‘Nition and will showcase all of our branding work and well as other cool stuff. This site is targeted for launch August 1st, 2010. 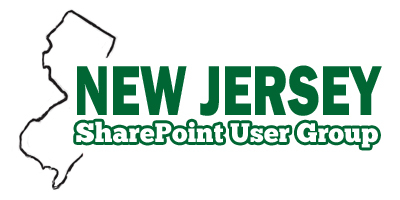 This upcoming Saturday, July 31st, 2010 I will be speaking at New York’s SharePoint Saturday. My topic of the day would be an Introduction to SharePoint 2010 branding. It’s a basic level course for the end-user which will cover how to go about branding your site, whether just creating a new theme or go with a custom master page with custom cascading style sheets. My session will be from 2:35pm – 3:35pm. SharePoint Saturday will be held at the Microsoft offices, 1290 Avenue of the Americas from 7:30am to 6pm, Saturday, July 31st. For more information about SharePoint Saturday check it out here. I’m very excited to be part of this event. It is completely sold out and I hear there is a 70 people on the waiting list. Welcome to my blog. Its purpose is to mainly document interesting findings in working with SharePoint and post things that I find useful or informative. Blog was initially launched in MOSS 2007 cks enhanced blog edition 2.0 but recently moved to WordPress due to the amazing interface.. it’s really great blogging tool. I needed to minimize the time that its takes to post a blog and with MOSS 07 it was a daunting task.